1. 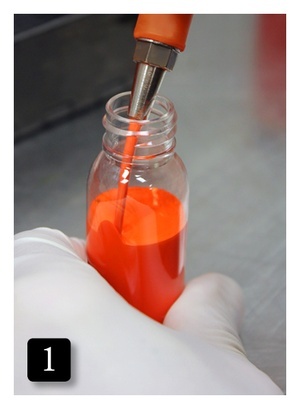 Hand-mixing and pouring - After a new ink color is formulated and approved internally by Eternal Ink staff, small batches of the new hue are mixed and distributed to a select group of tattoo artists for feedback. 2. 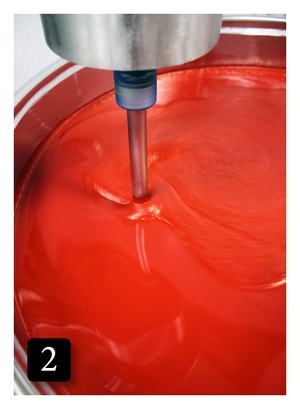 Ink Production - With final approval from the Eternal Ink staff and positive feedback from our test group of tattoo artists, the new ink color is put into full production. 3. 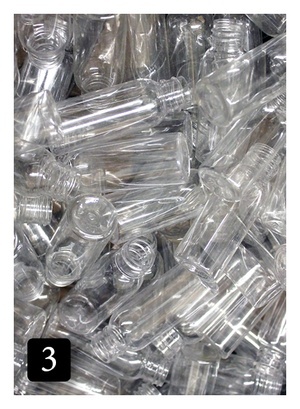 Bottles - Thousands of empty bottles ready to be loaded on the ink line and filled with color. 4. 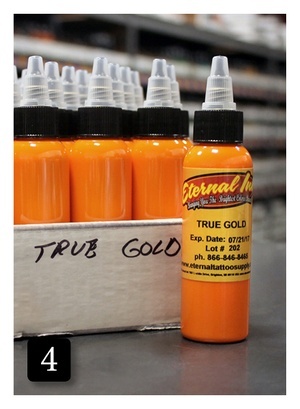 Fresh Ink - A flat of True Gold 2 oz. 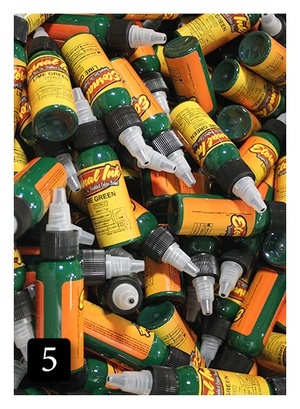 ink ready to be labeled for the US market. 5. Europe - This bin of Lime Green 1 oz. is about to be sorted, packed and shipped 'across the pond' to Europe. 6. 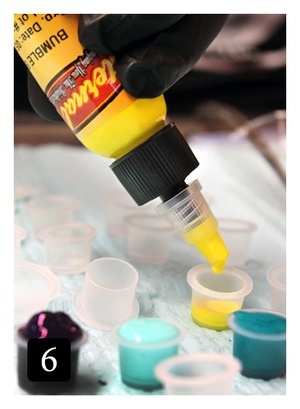 Drops - An artist counting drops of Bumble Bee at a tattoo studio near you.